Will Bradley Cooper Win Golden Globe for A Star is Born Movie? Just when we thought Bradley Cooper couldn’t be any sexier, his latest movie A Star is Born came to theatres and left us with our eyes wide open and our jaws dropped! Oh boy, that man can sing! Really sing! He hit all the notes right and he may as well start writing his Golden Globe speech. Cooper directed, produced, co-wrote, acted and sang in the movie so we have to ask ourselves: will this be the role that will land him a statue? His performance in the movie feels like a complex summation of his career progress to date. Lady Gaga is a true revelation of the movie since this is her first lead role and we already know she is an amazing singer but Cooper is the heart of the movie. Gaga’s character, Ally, is an unknown singer-songwriter who has pretty much given up on her dream to be a performer. It is in fact a modern cautionary tale. Getting his drink on after a show, country rocker Jackson Maine played by Cooper is smitten when he hears waitress Ally singing in a drag club. After a late night, discussing life and songwriting, Jack has her flown to a gig, where she becomes a huge hit when he brings her out to sing. Ally hits the road with Jack and begins a journey toward pop recognition, and Jack suffers from hearing loss and one unfortunate alcohol-fueled episode after another. Will He Bring the Statue Home? 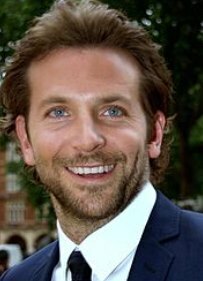 We really hope Bradley will finally take the award home after two nominations in the recent years. He surely deserves it for his various roles on the movie. The toughest task for him was singing. He took singing lessons for over a year and a half and it took him even more to fully get into character. Gaga forced him to sing live in the movie since she is not a fan of lip-syncing. He really relied on her to make him into a musician and their chemistry is great. The annual award, Golden Globe, is on for more than seven decades and the ceremony always honours the risk-takers who have the courage to test their acting in a movie musical. When Emma Stone and Ryan Gosling did that in La La land, the movie racked up seven Golden Globe nominations and they both took the statue home for Best Actor and Actress in the Musical or Comedy. We hope the Hollywood Foreign Press Association will notice Bradley Cooper and Lady Gaga for their exceptional performance in A Star is Born.